At the Transpatagonia Expedition (link to the presentation), which begins on November 1st…With a six-month forecast, 7,000 km of mountain biking throughout Patagonia and Tierra del Fuego (Argentina and Chile), plus 500 km Of trekking and 14 crossings (paso, in Spanish) by the Andes Mountains…I intend to sleep almost all the time in tent, in wild encampments. All my equipment will be transported in a bike trailer (subject to another post) with a maximum capacity of 100 liters and 35 kilos, which I obviously do not want to fill up to the stalk-the lighter it weighs, the better for me. I am studying and working so that its maximum weight, including the 6.1 kg of the trailer itself, does not exceed 30 pounds. For that I am applying the most advanced concepts of Ultralight Hiking, Trekking Lightweight,Cycling Lightweight and Cicloexpedição, including that technical education in Cursode Mountain Bike and cycle touring and Cursode Trekking (links to descriptions of the courses on the blog). I set my sleeping protection system as follows…During bike trips, which will make up two thirds of the 180 nights foreseen for the expedition, I will use an ultralight tent (see postprepatativos 1 here on the blog), but I will not use one Conventional sleeping bag or a common thermal insulation. QUILT is an English duvet, ie a sleeping bag with no zipper or hood, with a bag for the feet and an opening more or less of the knees upwards closed by two strips of fabric with tabs.It is up to 30% lighter than a conventional sleeping bag of the same material and size, and less prone to tears by “zipper bites”, which are very common in sleeping bags made from delicate fabrics and super-soft fabrics. A QUILT is also more versatile than a conventional sleeping bag because it allows for greater air circulation if the temperature is too high, as well as insulate as much as a conventional sleeping bag if used properly along with a good thermal insulation. GANK PEN is the best thermal insulation that exists for technical clothing. Its very high capacity to retain tiny “air pockets” heated by our body in its physical structure, coupled with its lightness and contraction capacity when extended and uncompressed when uncompressed, make the product unbeatable. Nothing is more thermal, light, durable and pleasant to the touch. In addition, this softness is the main responsible for the excellent thermal insulation. GUM PUMP is qualified by this “softness” in numerical categories ranging from 175 cm³ / to 900 cm³ / g, 850+ being the best product available in the market. COMFORT ZONE is a range between maximum and minimum temperatures, in which a sleeping bag, or QUILT, can keep a person warm all night long, without the user waking up from discomfort from cold or heat. The COMFORT ZONE of a QUILT, because it has no zipper and hood, is much larger than a conventional sleeping bag if used properly – it covers a much higher and lower temperature range. 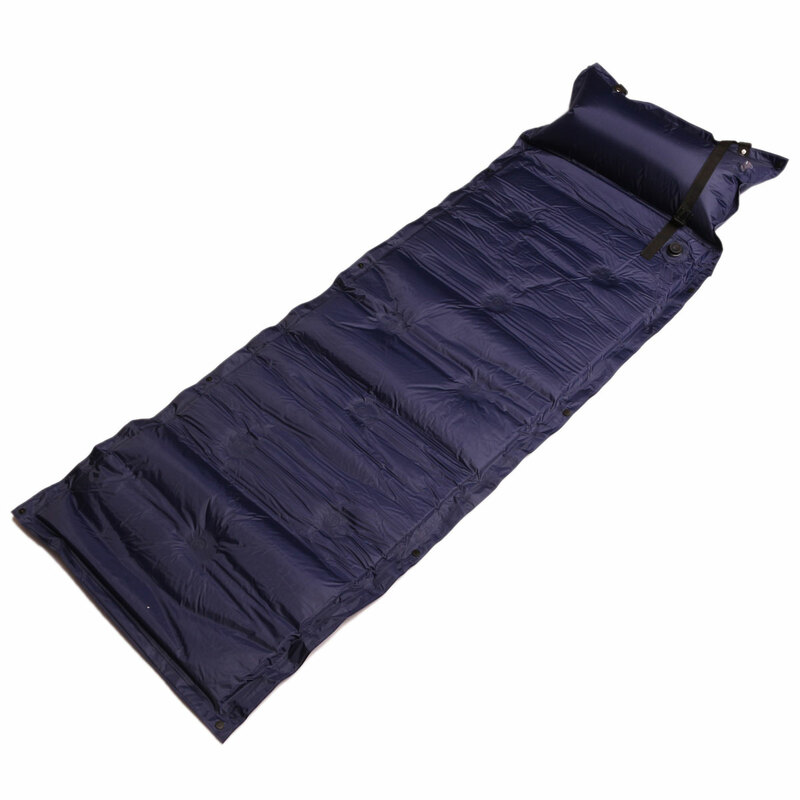 My first choice is the Nunatak Arc Alpinist Quilt 800Down Medium Size 20F / -7C, which is custom made and order. This is the QUILTS Ferrari, used by Extreme Trekking stars Andrew Skurka and Ryan Jordan. It weighs 0.567 kg and is certified for comfort zone of -7 °C. It costs quite expensive. My second option is the Go Lite UltraLite 800 Fil 3-Season Quilt (Regular), which is a prompt delivery product with excellent value for money. It weighs 0.660 kg and is also certified for comfort zone of -7 °C. This comfort zone I consider ideal for Patagonia between October and April. My third option is Western Mountaineering Alpinlite SleepingBag 20°Down , which weighs 0.737 kg and is also certified for comfort zone of -7°C, or 20°F. For thermal insulation I have chosen the Thermarest Z-Lite Sol R for sleeping nights in a tent. This thermal insulation is closed cell, ie it is not inflatable. It is very light (0.410 kg) and comfortable, although bulky when folded. Its surface resembles a “box and eggs”, with enough recesses that keep the heated air close to the user’s body. For the nights of trekking I will bring the Thermarest NeoAir Xlite SleepingPad at Transporthint.com, which is an open cell thermal insulation, ie inflatable. It weighs just incredible 0.227 kg in the “S” version, which is Small , only 1.19 m high. This type of thermal insulation is called a ¾ body or half body, because a person of 1.81 m tall like me, lying on it, will get the legs from the knees down out of the insulation. Perfect! All I have to do is use the small 42-liter trekking backpack I’m going to use on that expedition (subject to another post) under my legs to keep me warm and comfortable all night long, even with sub-zero temperatures. On the 42 nights of planned trekking, I’ll sleep in a bag of bivouac. No booth. I chose theBlack Diamond Spotlight Bivy Bag, 0.510 kg. It is not by far the lightest bivouac bag, but it has a “cabaninha” system on the face that guarantees more comfort (nothing of the fabric fallen on the face of the people while we sleep). A bivouac bag is a kind of waterproof, breathable, windshield sleeping bag that is used as a sleeping bag “supertet”, eliminating the use of tents with great economy of volume and weight. Those interested in learning more about concepts, techniques and equipment for use in wilderness camps and trekking, I suggest reading my book Manual Of Trekking & Adventure (link for review here on the blog), adopted by MEC (Ministry of Education) as compulsory didactic Courses in Physical Education and Tourism throughout Brazil.